There are many ways to support the life of our worship. Do you have skills in music or public reading? Would you like to serve as a Lay Eucharistic Minister or a Eucharistic Visitor? 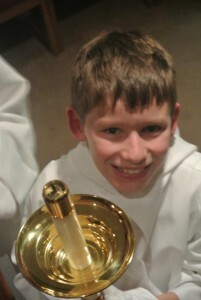 Are your kids curious about learning to serve as an acolyte at a service? For more information about serving in one of the ministries around our worship services, please contact our clergy through the parish office at 913-451-0512.